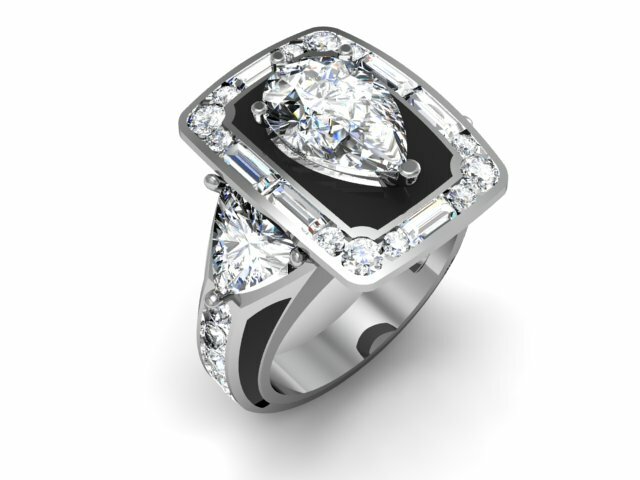 Art Deco Style Black Enamel and Platinum Ring, Shown with Pear Shaped Center Diamond. 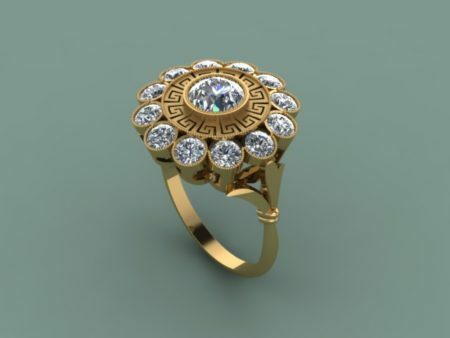 18 Karat Yellow Gold Greek Key Goddess Diamond Ring, Customer’s 0.50 Carat Diamond. Estate Replica. 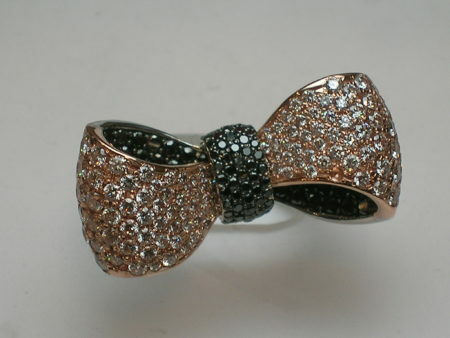 Bow Ring with Black and White Diamonds approx. 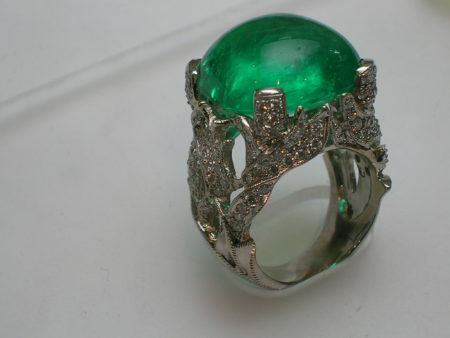 2.00 Carats Set in 18 Karat Rose Gold and White Gold.